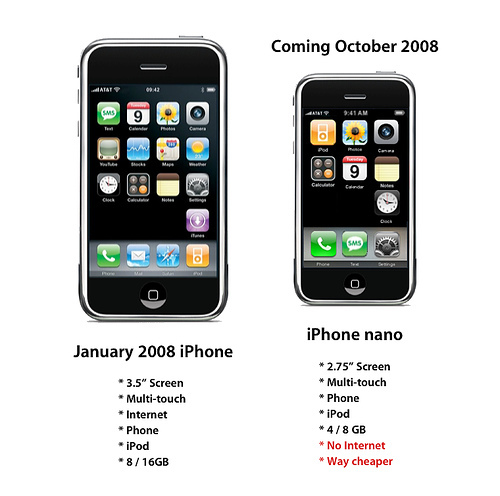 I personally can’t see that the iPhone Nano will be highly successfully especially if you consider that it will not have Internet and less storage. Do you think it is a wise move to remove Internet from the iPod Nano ? Let me know.